For the love of bunnies, zombies and frocks! 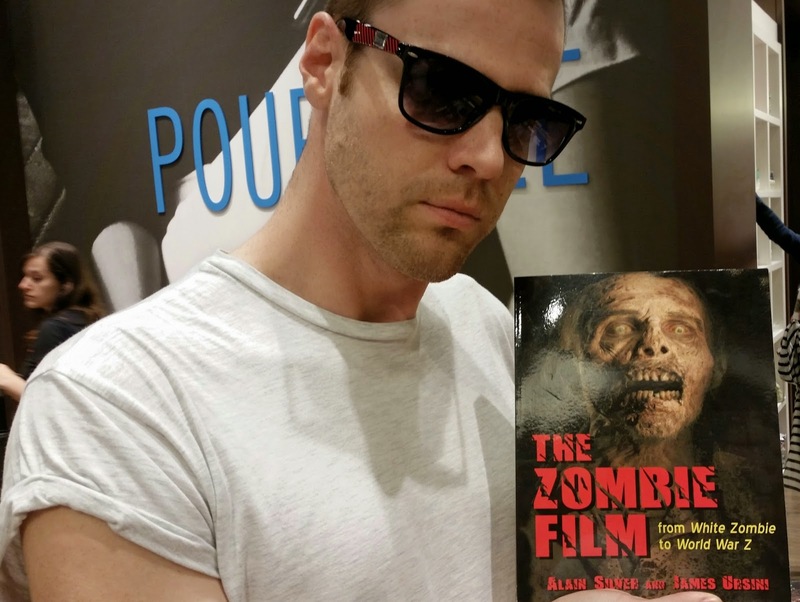 : Montreal Calling.......all zombies!!! Hey BZF Bandits, its Mr Vitamin G here reporting live from Montreal Canada!! That’s right, Miss K decided that I had earned myself an all expenses paid trip to bring you all the zombie goss from this glorious city! Ok truth be told, my other half is originally from this part of the globe and we are visiting family and friends as well as stuffing ourselves silly just in case the apocalypse decides to go live. Speaking of which, I have been super impressed with Canadian’s general awareness of zombies. For example, within a couple of hours of landing, I had already found an absolute must have for all zombie movie addicts ‘The Zombie Film’. It seemed that I was on a roll, because on day two I came across some fantastic educational aids for the young ones or the young at heart! 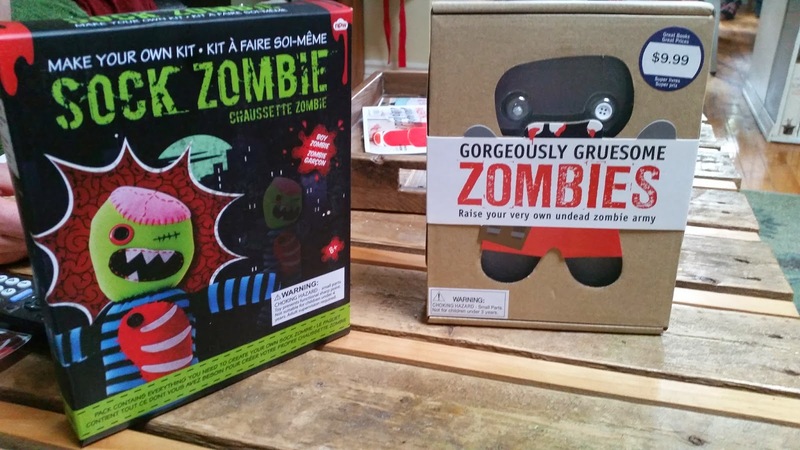 Have you ever wanted to create your own pet Sock Zombie?? 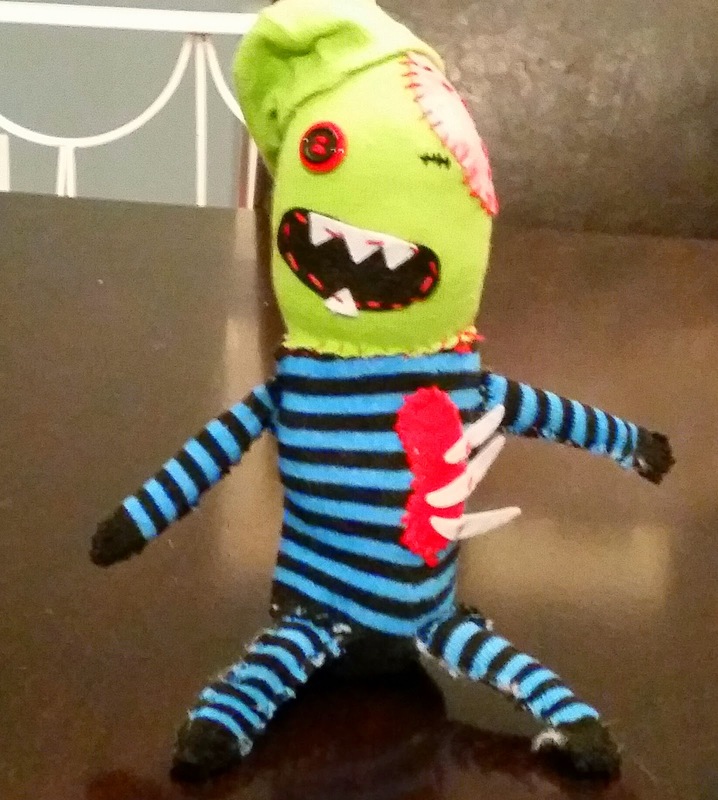 Or design your own crafty felt zombie?? No?? Well check these babies out!! Normally I am not a crafty person, but I found myself strangely drawn to these little gems and with a price tag of $10 each I simply could not resist. I was keen to get started on my Sock Zombie and this little guy required a team of three and actually made for some fun family time as we brought Larry the Zombie to life – check him out below! Not sure Larry will make it through customs, but I will make sure I give you guys another update before I fly home, I will also post some happy snaps on our BZF Facebook page!